Film star and Janasena Party President Pawan Kalyan strongly condemned the growing physical assaults on women in the country. Talking about the Kathua and Unnao gangrape cases, Pawan urged all the political parties to condemn the henious act irrespective of religion and region. In a stunning revelation, Pawan said that he had physically attacked people who molested women on his film sets in the past. “The crime was committed even before the police were informed. So we had to take law into our hands on a few occasions,” said Pawan. 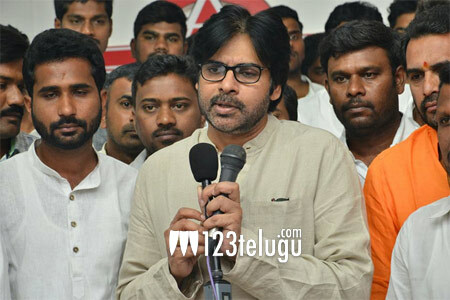 Responding to actress Sri Reddy’s appeal to him to react on the attrocities on women in the film industry, Pawan said that instead of sensationalizing the issue through TV debates, victims should file cases at the police stations and take legal route.